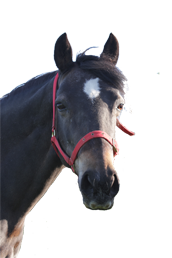 The triggering events known to cause laminitis do not act directly on the laminae but instead cause the quarter region of the hoof capsule to grow quicker than normal. 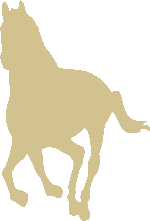 Abnormal hoof growth has previously been associated with the chronic phase of laminitis. It seems that the question of when abnormal hoof growth commences has never been asked before. Faster growth at each heel will cause the hoof capsule to distort towards the dorsal wall (toe). Eventually distortion advances to a point when it exerts a pulling force B (extension) onto the laminae at the dorsal wall which will traumatise and damage the underlying laminae. The distortion process peels away the dorsal hoof wall from the distal phalanx (pedal bone), as the hoof commences distorting at the ground surface and then migrates upwards. In other words, damage to the laminae is directly the result of hoof capsule distortion. A Compression at the coronary band. B Dorsal hoof wall is peeled from the distal phalanx (pedal bone). C Sole is pulled upwards onto the distal border of the distal phalanx. This interpretation of the role of the hoof capsule distortion in laminitis offers new opportunities for treatment of this condition. Minimising hoof capsule distortion as early as possible in the laminitis cycle by cutting deep vertical grooves into the hoof wall has produced very good results. This procedure is not painful to utilise and many grooved animals soon show a reduction in pain levels. This procedure should not be implemented without full veterinary approval. If you want to find something quick try the search page. This website is the product of research by Tom Ryan FWCF. His interest in laminitis has developed through daily contact with equines with this condition, and puzzling over all the differing and conflicting points of view expressed by all those around him. The results of his research into hoof growth led to him formulating the Dorsal Wall Lifting Theory for equine laminitis and vertical grooving which has helped many laminitic horses.